Chasing away young people by being faithful to the gospel? The following post is by the Rev. Rob Renfroe, president of Good News, the flagship renewal ministry of The United Methodist Church. He is also the pastor of discipleship at The Woodlands UMC, a 9,300-member congregation in The Woodlands, Texas. From 2007 to 2009, Rob Renfroe served as president of the board of The Confessing Movement Within the United Methodist Church. He is a past member of the United Methodist General Board of Church and Society. A few weeks ago, I spoke to members of the Southwest Texas Conference, encouraging SWTX evangelicals to be faithful to the the Gospel and to continue in the work of renewing their Conference. I mentioned this year’s General Conference and the issue of homosexuality only briefly. Afterward, I received a Facebook message about my talk from the pastor of a “reconciling” congregation in Austin, Texas. For non-Texans, let me explain that Austin is Texas’ most liberal large city. 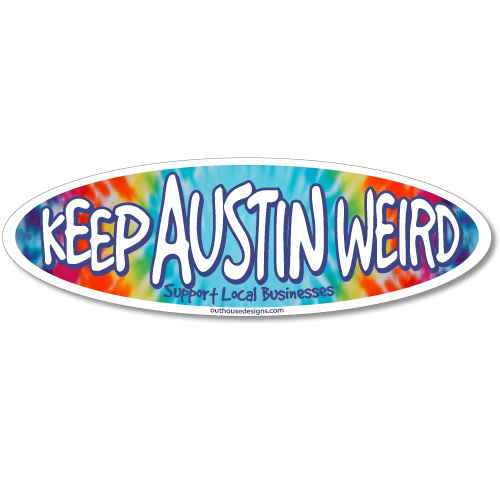 Its adopted motto, seen on bumper stickers everywhere, is “Keep Austin Weird.” The University of Texas is one of the most “progressive” universities in the state, if not in the country. Ten years ago we had a young man on our staff at The Woodlands UMC. He was one of our youth workers and we all loved him. But we know he wouldn’t be with us long. He had a Baptist background and felt God wanted him to start a new Southern Baptist congregation. He is from a small East Texas town, he is more conservative than any of the pastors on our staff, and he is a proud graduate of Texas A&M University. Would you believe that Matt felt called by God to start his new Southern Baptist church in Austin to reach University of Texas students? Makes no sense, right? But he followed what he believed God called him to do. Now, 10 years later, Matt’s church — Austin Stone — has 3,500 persons in attendance each weekend. I did some checking and it turns out that this one conservative church has half as many people worshiping with it every Sunday as all of the UM churches in Austin put together. If a liberal, progressive Gospel was going to be effective anywhere, you’d think it would be in one of our most liberal cities with one of our most progressive universities. But [liberal Christianity simply is] not reaching great numbers of people, young or old, where you would expect it to thrive. So, no, I am not afraid that if we preach the truth with love that we will lose the young people or doom the future of the church. I think God honors churches that are faithful to his word and I believe the Gospel still has the power to convert and save the lost, no matter their age. If God can use a conservative Baptist Aggie to reach liberal UT students, we don’t have to worry about the Gospel. It can take care of itself. Our hope is built on…? What is the UMC’s hope for the future? Our hope is not a progressive gospel that denies the cross or the authority of God’s Word. Our hope is not liberal pastors who adopt current cultural values because they don’t want to offend the beliefs of 18-year-olds. Rather, the hope of the United Methodist Church, and of the world, is Jesus Christ — his life, death, and resurrection. What is needed is UM pastors who will be faithful to proclaim the truths of God’s Word — to the young, to the old, to all. With a goal of fostering “flourishing churches that make disciples of Jesus Christ,” the Fellowship of Presbyterians, a group of more than 500 theologically conservative congregations of the Presbyterian Church (U.S.A.), has unveiled a new “denominational entity”: the Evangelical Covenant Order of Presbyterians (ECO). The official unveiling occurred at a Jan. 18-20 Covenanting Conference in Orlando, Fla. The new entity will work with like-minded congregations that decide to remain part of the PC(USA) or choose to cut ties with the older denomination. “The Fellowship offers three different options for affiliation so congregations can pursue what best honors their ministry context,” according to a news release (PDF) from the Fellowship of Presbyterians. “The options are: affiliate with the Fellowship as a ministry association (involves no change in status with the PC(USA)); pursue a union membership with the PC(USA) and ECO; and join ECO as full members (requiring dismissal from the PC(USA)),” the release said. In an address introducing ECO, the Rev. John Ortberg, senior pastor of Menlo Park Presbyterian Church in California, said the new denomination was created to help local churches become more effective in making disciples. You all know what has been going on in mainline denominations, including our own — shrinking memberships and fading churches and aging clergy and lessening evangelism and a preoccupation with survival and internal strife and external irrelevance. And it is not just theological drift…. [But w]hat if God were to raise up a movement? What if [the] torch for a thoughtful, reflective, urgent, egalitarian, globally active, culturally engaged, Jesus-centered, evangelical faith [were to be] wed with courageous, innovative, bold, risk-taking, bold entrepreneurial ministry leadership? And the torch of this faith were to burn more brightly in this generation than in the last one? We’re not talking about a safe, easy, reassuring step from one denomination to another as a way of expressing denominational displeasure…. Purity by separation has been tried before. If the new entity that we talking about is only that, it will just deteriorate a little more slowly…. [But i]magine God were to launch a movement of Spirit-led, Jesus-centered churches where pastors and leaders took seriously the biblical injunction to become teachers of the nations, so that our world and culture could hear in Him that there is such a thing as moral and spiritual knowledge that can guide human lives…. Imagine that the claims of Jesus were to receive a fresh hearing our day because they were being expressed in thoughtful, winsome, non-churchy, literate ways by Jesus followers who had wrestled and studied and prayed, and sought to follow Jesus with all of their hearts…. Imagine a movement where church meetings and denominational meetings never waste anybody’s time…. Imagine a movement that when leaders gather together, it is to learn and to receive vision and to mentor…and to be accountable and to encourage one another…. Imagine that when leaders get together they talk about things like: How do you reach people who don’t know Jesus so they can get to know Jesus? How can you worship better? How can you help the under-resourced people more effectively? How do you make disciples? How do you do justice?…. Can God not do that? Has the Holy Spirit lost His power? As we…have talked and prayed about a new denominational entity, the idea, the prayer was that it be not just a denominational alternative — [but] that there might be a structure that could be a vehicle and a servant of a movement…. The job of a denomination is the serve the local church, not the other way around…. And the idea is…real simple: to build flourishing churches that make disciples of Jesus Christ. Because the church really has one job — to make disciples, followers, of Jesus. Streaming video of Mr. Ortberg’s full address is below. A downloadable mp3 audio file is here (18 MB). • United Methodists are well-liked, but to what end? A small gathering of people met together in an airport hotel in St. Louis. Like any other meeting, this one had potential — potential to be hardly remembered just a few months later even by those in attendance, or the potential of birthing something new in the world that would effect lives far beyond imagining. The people in the room that day sensed deeply that they had been called by God. So…this group of United Methodists launched out in faith. They would establish a missionary-sending agency that would offer Christ to the world’s under-evangelized and unreached people, while also providing increased opportunities for God’s people to respond to His call to cross-cultural missions. This new organization would not be funded by the United Methodist Church or by any denomination; it would instead be funded by individuals and local churches. In other words, it would rise or fall according to the wishes of the people who partnered with it. It was a gutsy, sacrificial move. Some of those present pledged thousands of dollars they did not then have. Six weeks later, on Jan. 6, 1984, The Mission Society was incorporated. Today, The Mission Society has more than 200 missionaries serving in 37 nations around the world. Most serve outside the U.S., although several are on staff at campus ministries in the U.S.
You can learn more about The Mission Society here. The Mission Society also publishes an excellent quarterly magazine, Unfinished. Podcast — George Hunter: Can the once-great Methodist movement become a movement again? On this edition of the MethodistThinker Mini-Podcast, Dr. George Hunter of Asbury Seminary details how Methodism, at least in its institutional United Methodist form, has become what it was once a reaction against. Dr. George G. Hunter III holds the Ralph W. Beeson Chair of Christian Evangelism at Asbury Theological Seminary, where he serves as Distinguished Professor of Evangelism and Church Growth. He the founding dean of the E. Stanley Jones School of World Mission and Evangelism at Asbury. Dr. Hunter is a graduate of Florida Southern College, the Candler School of Theology (Emory University), Princeton Seminary, and Northwestern University. He is the author of a dozen books, including The Apostolic Congregation: Church Growth Reconceived for a New Generation (Abingdon, 2009) and The Celtic Way of Evangelism: How Christianity Can Reach the West…Again (Tenth Anniversary Edition) (Abingdon, 2010). Podcast — Bishop Lindsey Davis: Will the UMC have the courage to do what needs to be done? On this edition of the MethodistThinker Mini-Podcast, Bishop Lindsey Davis of the Kentucky Annual Conference says the United Methodist Church must repent of its missional lethargy and re-commit itself to the purposes of God in Jesus Christ if it hopes to have renewed life. In his remarks, recorded last fall at a meeting of the Christian Educators Fellowship, Bishop Davis references Deuteronomy 30:19 (“I have set before you life and death, blessing and curse. Therefore choose life…”) and Zechariah 9:12 (“…you prisoners of hope”). To listen to a five-minute excerpt from that October 2010 address, use the audio player below — or download an mp3 file (5MB). Before being assigned to the Louisville Area, Bishop Davis served for 12 years as the episcopal leader of the North Georgia Conference.